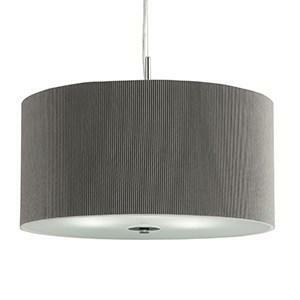 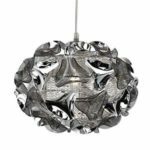 This Triangle Chrome 3 Light Pendant with Smoked Acrylic Curved Detail looks dark and decadent. 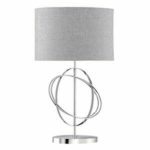 The three central lights are cloaked by smoked curved acrylic detail and a wire chrome finish mesh shade, which gives it a unique style. 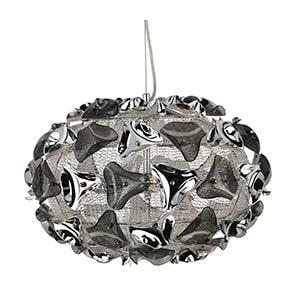 It also creates a nice lighting effect and sets the mood for the entire room.